Jersey Cost $55.00 Now free shipping. Contact Mark by email or order online now! While suplies last. FREE Shipping! You can also order when you join or renew online. 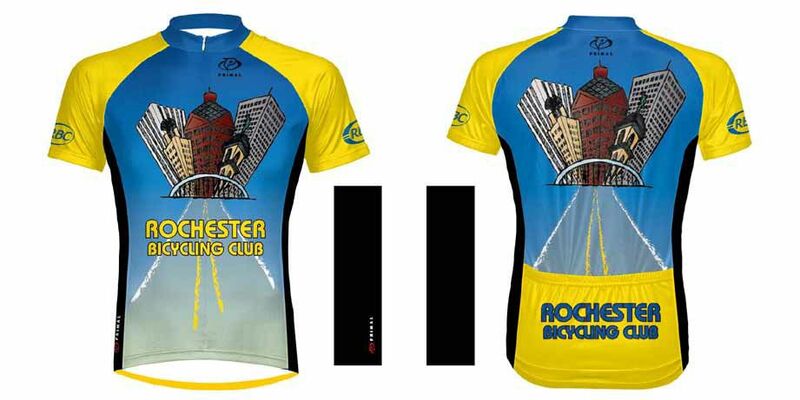 Special offer to the Rochester Bicycling Club! Support safe cycling in NYS! 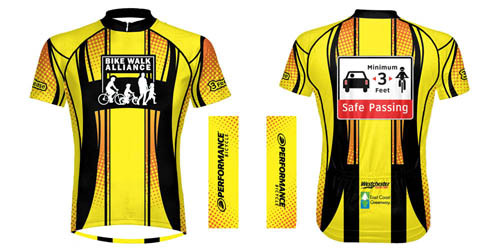 3 Feet Safe Pass Cycling Jerseys by Primal Wear. Our website service provider does not have a merchandise function so we had to get a bit creative and use the event registration function to provide a way to sell our jerseys online. You start by clicking on "order now". You will receive an email when we receive your order and another when payment is received, as well as one from PayPal if you chose to pay online.